Single yarns pulled from a creel are drawn through a PVC jet or bath and a die to form the desired round section shape. 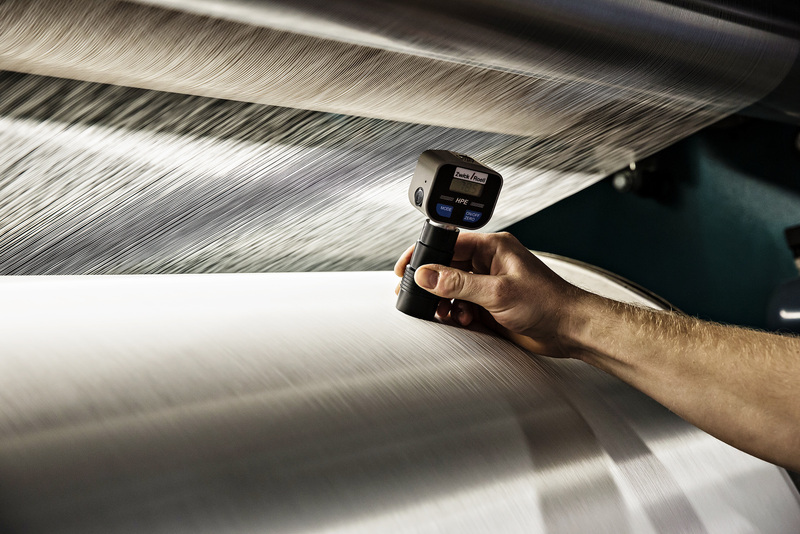 Then the coated yarn is dried and thermally cured in a continuous oven and wound onto a paper tube to make products suitable for additional textile operations like beaming and weaving. Required properties of single yarns are high twist to promote round section, high tensile strength and compatibility with PVC so that all of the yarn is coated evenly. 250°–280°C (482°–536°F) and sintering to 450°C (842°F). The impregnation process can be repeated up to eight times in order to reach the required PTFE thickness. Other chemicals can be added to impart specific properties. Additional partial heat cleaning is also sometimes processed in order to suit the required color of fabric.